In every industry, there are a few select players who represent the best that particular niche has to offer. For smartphones, it’s Apple and Samsung. For sodas, it’s Pepsi and Coke. 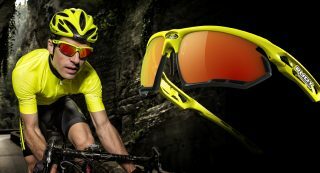 When it comes to hi-tech sports sunglasses which can withstand almost anything you throw at them, it’s the Rudy Project sunglasses – and Italian brand, born in 1985. Saying they’re the best in the business is a bold statement, but it’s backed up by several facts. The company’s strive for excellence is seen in their photochromic and polarized lenses, the adjustability and customization of their models, the tremendous new venting solutions and the overall lightness of the products. They have been tried and tested by numerous athletes from around the globe, in extreme weather conditions, and have fared excellently. And they’re now coming to an optometrist near you. Of course, some of their models are more popular than others. The Tralyx, for example, is one of their best-sellers around the world. It features adjustable nose pieces for added comfort, adjustable temples, and are built around a Grilamid frame, one of the most shock-resistant frames in the business. Naturally, as with all Ruby Project sunglasses, they’re incredibly lightweight, and the lenses can be easily interchanged – even with prescription lenses. All Ruby Project sunglasses have this feature: easily replacing your tinted lenses with prescription ones, in a matter of seconds. Another great model, the Rydon, has lots of the benefits of the Tralyx (adjustable temples and nose piece), but with an added twist: they have lots of interchangeable lenses to fit any lightning conditions, which can be exchanged in a matter of seconds. In fact, you can buy a Rydon kit with five different colors, which you can then switch around in the same ultra light weight, shock resistant frame. The Agon is another excellent model. It features the same level of customizability, but with a few added benefits. For example, the lens features a small vent to prevent misting and ensure perfect, crystal-clear vision for the wearer. The glasses are ideal for hard sports like cycling and triathlon and provide complete comfort while also being quite fashionable. Naturally, these are just a few models of the Ruby Project, but we can see a clear pattern here. They have opted to go for as much customizability and possible in their models, while also retaining great technical capacity. Their Quickchange lens system offers a lot in terms of personalization as well, and not only that: they offer the perfect skeleton on which a patient can add his or her prescription lenses. 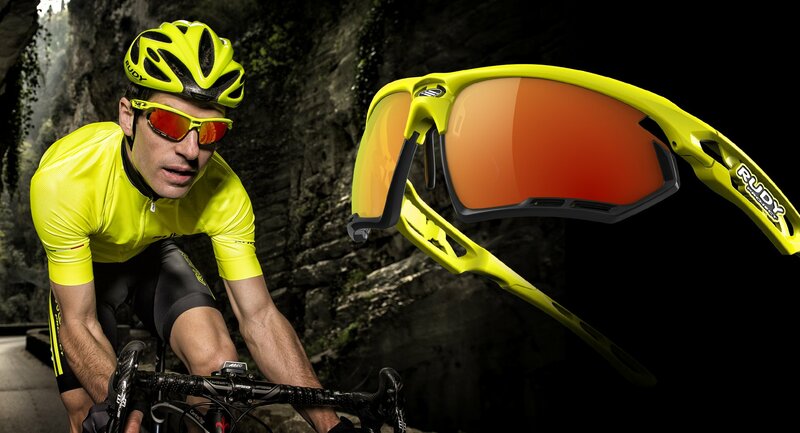 Thus, you not only have great sunglasses for running, cycling, or other sports. You can enjoy perfect vision under any weather conditions, while also maintaining a healthy and active lifestyle. We are proud to have Ruby Project as a partner and use their excellent models as carriers for our prescription lenses. They have managed to bring performance sunglasses to a whole new level, through powerful capacities, high customizability, all while maintaining a good sense of fashion. What more could anyone wish for? Drop in any time during our optical store hours and check out our collection!